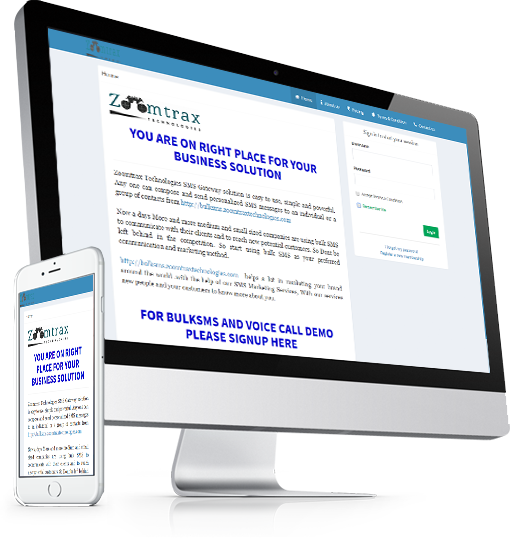 Zoomtrax Technologies Voice SMS helps you reach your target audience in the easiest, fastest and most cost effective way. We enable you to call mobile phones and landlines anywhere within INDIA. Bulk voice calls are pre-recorded voice messages to a mobile or landline networks. Voice Call enables you to communicate with your customers by calling their Mobile/Land lines numbers anywhere in INDIA with a pre-recorded voice message through a fully automated Online System. ​Voice broadcasting is a way to deliver pre-recorded message or voice message to thousands of targeted audience at a time. It is a powerful way to stay in touch with your customers and increase their loyalty by delivering information they care about. It is a cost effective way to promote your service or product. ​Without caller id (DND & Non DND Delivery) : Calls will be delivered to DND & Non DND numbers with SERVER number as caller id. Delivery :- Non-DND Numbers . VVoice broadcasting is a way to deliver pre-recorded message or voice message to thousands of targeted audience at a time. It is a powerful way to stay in touch with your customers and increase their loyalty by delivering information they care about. It is a cost effective way to promote your service or product. Delivery :- Non-DND & DND Numbers . Delivery :-Non-DND & DND Numbers . 29 Sec Clip Will Charged 1 Credit, 56 Sec Clip Will Charged 2 Credit.